Which desktop 3D printer should you buy this holiday season? If you’re an early adopter who is more likely to buy a drone or a smartwatch than a big screen this holiday season, you might also be thinking about a 3D printer. You’ve seen both the hype (print all the things!) and the drawbacks (you can’t print all the things if your printer doesn’t even work) and are still interested. So which 3D printer should you buy? This is the holy grail of 3D printer categories. Every machine that appears on Kickstarter claims to be the one that is finally easy enough for anyone to use, but that has yet to actually come true. The best option comes from an old player: Afinia. 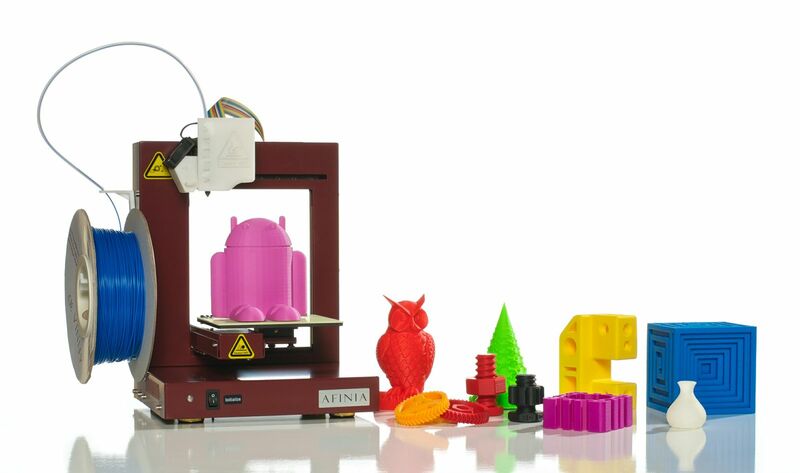 Afinia’s H line of 3D printers has long been popular in schools for its ease-of-use, and the H480 is the best yet. It’s still not as easy as taking the printer out of the box and hitting print, but it gets pretty close. One of the major critiques of Afinia is that its machines are very locked down; there will be no tinkering. But if you’re a beginner, that’s exactly what you need. There’s no fuss and, as a result, no confusion. 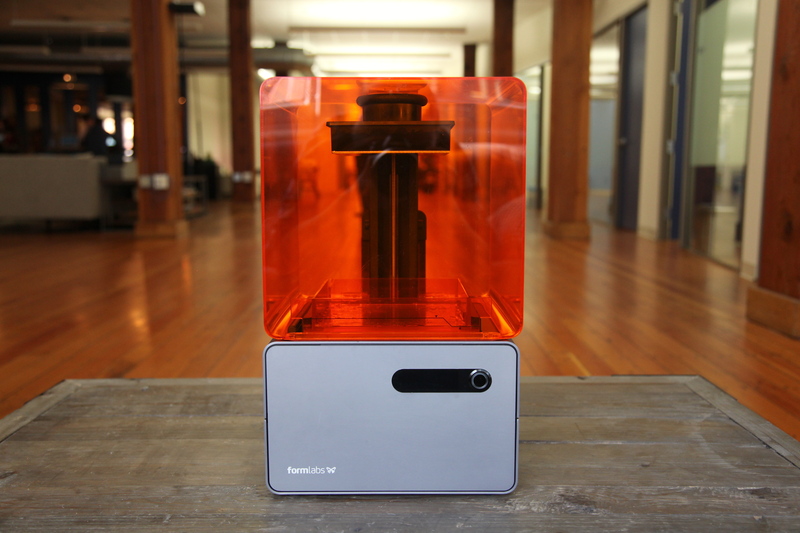 Formlabs’ Form 1+ is different from the other 3D printers on this list. It uses a laser to cure liquid plastic layer-by-layer, which results in a finer quality but requires a lot more post-processing, which gets very messy. Those willing to put in the work are rewarded with beautiful pieces that would be equally useful in an architecture firm and an artist’s studio. The surprising thing about the Form 1+ is it is actually plug and play. Its gorgeous software is the most intuitive I have come across, and it is smart enough to handle many of the design flaws that can ruin a print. As long as you are willing to respect the printer’s hardware with proper upkeep, it will give you a lot in return. 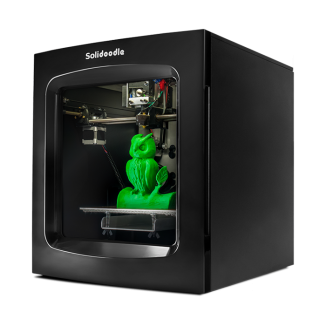 Small businesses interested in 3D printers have simple needs: a solid machine for a good price that can run and run and run. Industry poster child MakerBot has long positioned its Replicator line as this printer, but there are a whole lot of people who are unhappy with its reliability and price. I spend a lot of time visiting startups in Silicon Valley and have noticed that another machine, the Ultimaker 2, has steadily overtaken the Replicator as the most popular office printer. It puts out good looking parts, is relatively quiet and and just looks nice sitting on a desk. Oh, and it’s open source, a designation MakerBot has abandoned. It’s not perfect, of course. Ultimaker’s customer service isn’t particularly strong, so it’s best if someone in your office is familiar enough with 3D printers to fix them. The Ultimaker 2 also lacks some of the Replicator’s ultra-modern features, such as a built-in webcam, a mobile app and Wi-Fi printing. 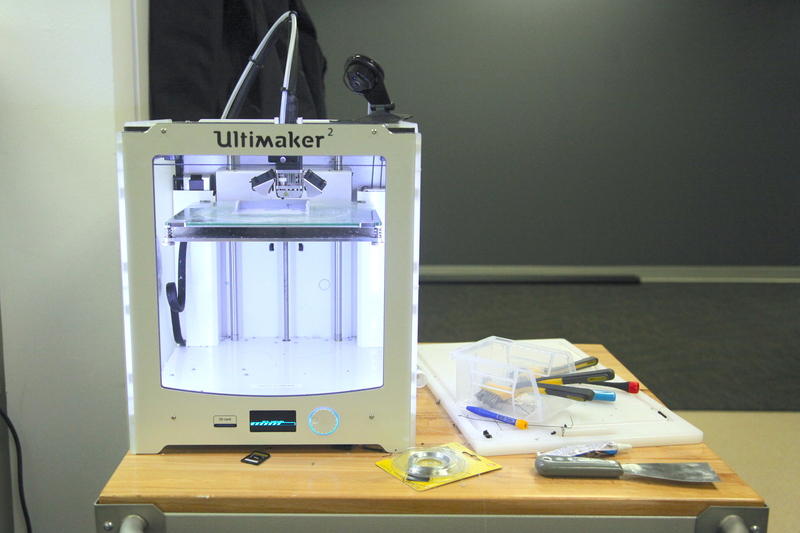 Since the first desktop 3D printers appeared a decade ago, makers have owned the market. These folks know how to unclog an extruder and level a print bed, and they’re not afraid to rebuild a machine to their liking. RepRaps–an open source line of DIY 3D printers designed by the community–continue to evolve into more sophisticated and useful designs, but there are also options for makers that don’t want to start from scratch. 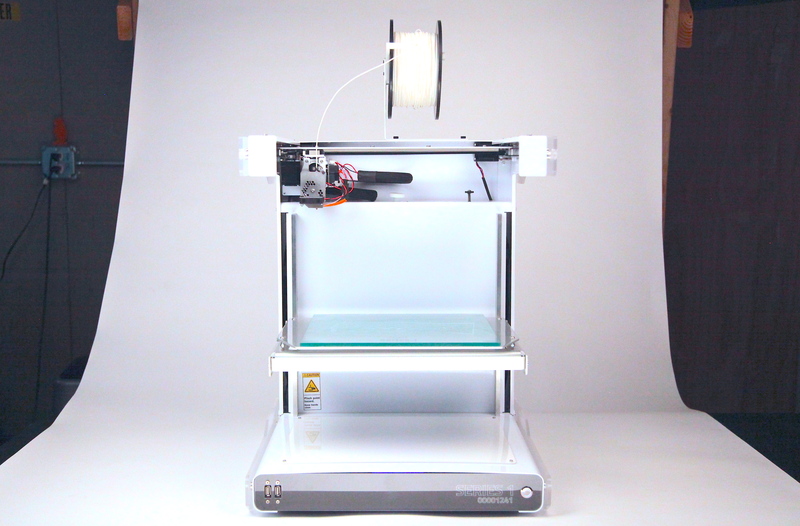 The Series 1 Pro 3D printer by Type A Machines was built specifically for people who want to tinker on a sturdy machine that can print for days on end. Its pieces are modular so they can be upgraded or replaced in minutes. And the company offers an unusually generous warranty that continues to cover the machine even after it is hacked. For makers who need an upgrade, the Series 1 is a very nice option. Type A Machines is building its printers with not just prototyping but manufacturing in mind, which means it is moving toward machines that are actually built to run for days, or indefinitely. That’s pretty perfect for the small business owner that doesn’t have time to babysit (or constantly fix) their 3D printer. This category is the most fascinating area when it comes to determining the future of the 3D printer. We have come a long way since 15 years ago when all 3D printers cost tens or hundreds of thousands of dollars. There are now quite a few options available for less than $1,000. But the bad news is there isn’t an obvious one to recommend. There is hope. A whole bunch of inexpensive printers, many of which could retail for less than $500, are on the way after runaway crowdfunding campaigns. While it’s very likely that the majority will be just as disappointing as the current options, many companies are turning to alternative business models instead of compromising on their hardware. That means OK machines for a lower price, though you’ll make up for the price tag by spending more on things like filament and printable models. I would choose the Solidoodle just for the community. Printrbot’s machines require quite a bit of 3D printing knowledge, and XYZprinting is just too new of a company to generate much trust. These are just a few of the many options that people interested in 3D printers have to consider, and I’d love to hear more about your favorites in the comments. Why no mentioning of UP mini? A sure bargain at $599 with superior print quality…. Great article ! Does AFINIA H480 has open source software ? The price looks very attractive. And I am fascinated by the technology… Still, I’m waiting another millennium or two for them to perfect the technology and the price to come down to $1.27. Intriguing information here. The trouble I have is the plastic and single color appearance. When they move into multicolors and a metallic finish, then we’re talking pay dirt! All the same, this article does tend to capture the imagination. Thanks for the feed! There’s been some work into developing different shades of colours, and from students!